After an intensive 3 months of printing large monoprints at the Kala Art Institute as an artist-in-residence , I am back in my studio working on a series of large watercolor drawings. It has been about 7 years since I immersed myself in drawings on paper and am excited about the work I have started, and endless possibilities of the techniques involved. Often watercolor drawings are thought of as filling the gap between painting and drawing It is the combination of line, painted areas of solid color, and the use of the naked paper as a positive element within the drawing that excites me. 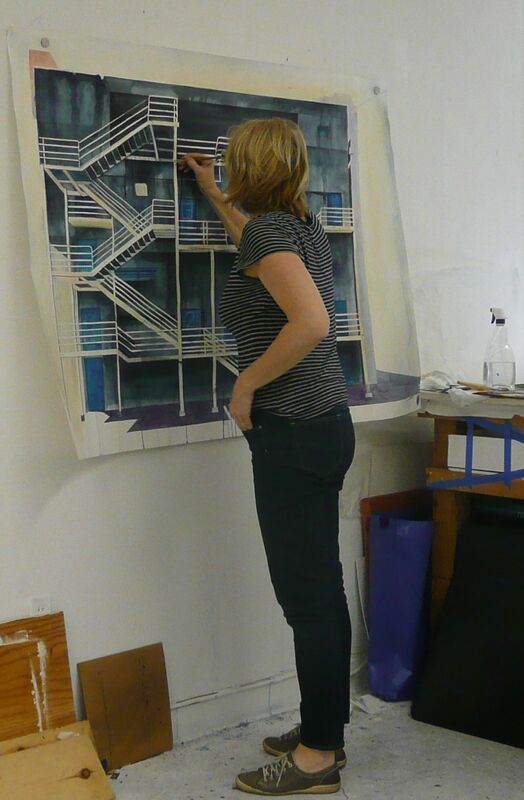 I’m happy to be back in the realm of the drawing – my aim is to spend the next few months exploring the possibilities. You can see my first new piece at Open Studios this coming weekend at Hunter’s Point Shipyard.